While we wait for our doughs to ferment, Marty and Will take the campers on a walking tour of their farm. This is where the campers eyes start to open, their ears perk up and they start to get a sense of the bigger picture at work. Spence Farm practices biodynamic, regenerative farming practices. This means that Marty and Will plan their fields years in advance, strategically growing certain crops before others, deciding which fields to graze their cattle over, which to cover in alfalfa or clover to bring more nitrogen into the soil, or which fields can handle growing a nutrient-intensive crop like corn. Campers see the beehives on the farm, placed intently next to twenty acres of recreated prairie, and learn of the benefits of having bees on the farm. Biodynamic farming is all about soil health, which leads into plant health, which leads into our own health. Once plants are as healthy as they can be, and they don’t need to put any more energy into maintaining that health, some plant magic happens. Not only do they start producing root exudates, improving soil health and feeding the mycorrhizae which will improve growing conditions for the next crop, the plants will put their extra energy into producing bioflavonoids, which are essentially the flavor of the crop. This way of regenerative farming is often just as much about what is given to the plants as it is what is not given to them. We discuss how creating a healthy and lively soil creates that lively flour that bursts with life and activity, and how commercial farming techniques drown their crops in various chemicals, killing the weeds, bugs, and fungi on and around their crops, ultimately creating a dead flour. We end the tour in a wheat field and discuss what to look for on the plant itself that will indicate the health of the crop. White spots on the leaves indicate that the plant needs more molybdenum, yellow leaves indicate a need for phosphorus, while a zipper effect on the back of leaves tell us the plant needs more calcium. Marty and Will pay close attention to what the plants are telling them, and plan their crop rotations and foliar feedings accordingly. 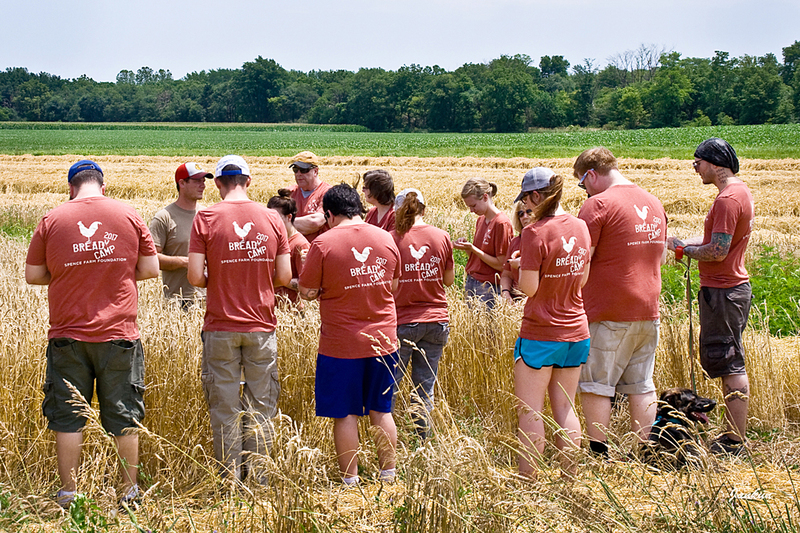 We combine the field and talk about judging grain quality when the grain is whole. We look for plump, brightly colored kernels. We then return to our now fermented dough to shape it. While we wait for our loaves to rise, we hear from a few key presenters. Keith Seiz from the National Honey Board gives a presentation on baking with honey, we taste different honey varietals side by side, and we hear about the bee’s role on a farm. Bill Davison, a farmer turned wheat breeder, talks about his work. He is working to develop wheat varieties that work over a number of different growing conditions, varieties that will improve soil health and work very well for a farmer. Bill will then have the wheats tested by bakers, because the crop needs to work for both farmers and bakers. Harold Wilken then speaks about his larger scale organic wheat farm and the mill at his farm. Milling quality flour is an integral step of the process, and is so much more than simply dumping grain through a pair of stones. Another step that is often forgotten is cleaning the grain once it is harvested. We are often asked why there aren’t more small grain farmers, one major reason is that the infrastructure is not available for them. 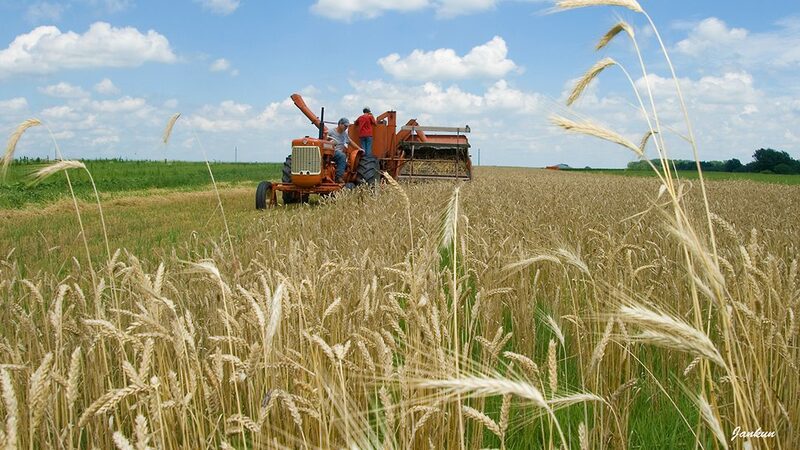 In Illinois, there is one organic grain cleaner to take grain to, luckily within driving distance of Spence Farm, so campers will take a tour there in the morning. Day one concludes with a discussion of the day’s activities while we watch a firefly light show over the dimming fields. 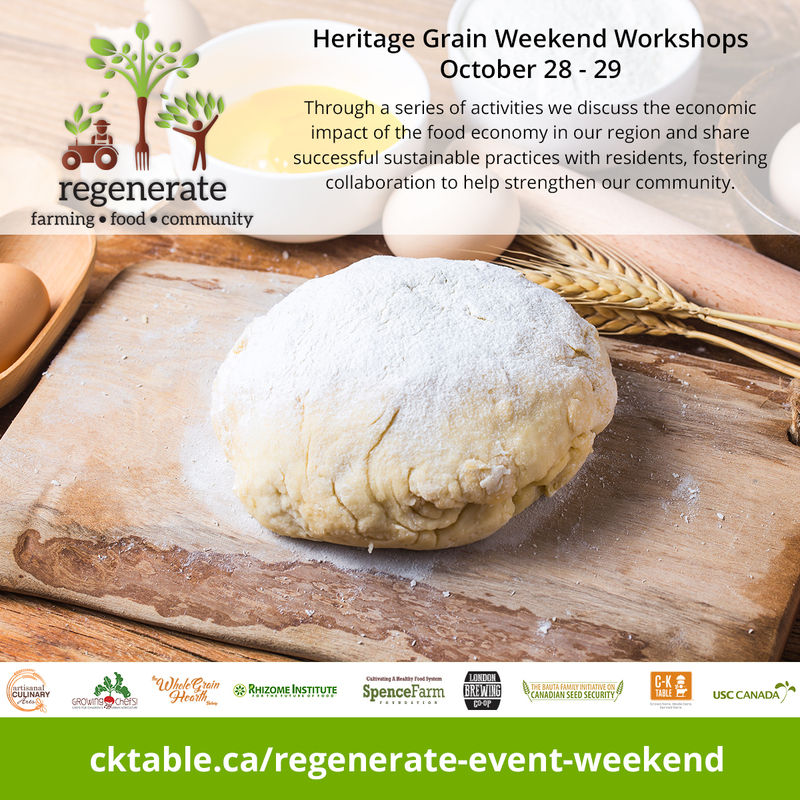 Regenerate is a regional collaboration between charities, not for profits, culinary educators, restaurants and businesses that seek to build a better food system to serve consumers in South Western Ontario. 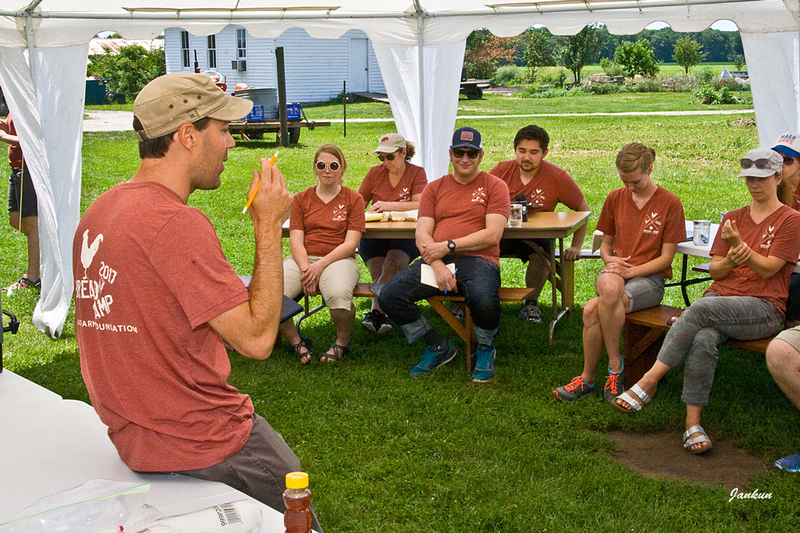 Bread Camp is a 2-day experience educating and connecting growers, millers, bakers and chefs who are creating a rise in demand for local grains. This program will increase a baker’s capacity to procure and utilize regionally grown whole grains to build and develop the regional foodshed. 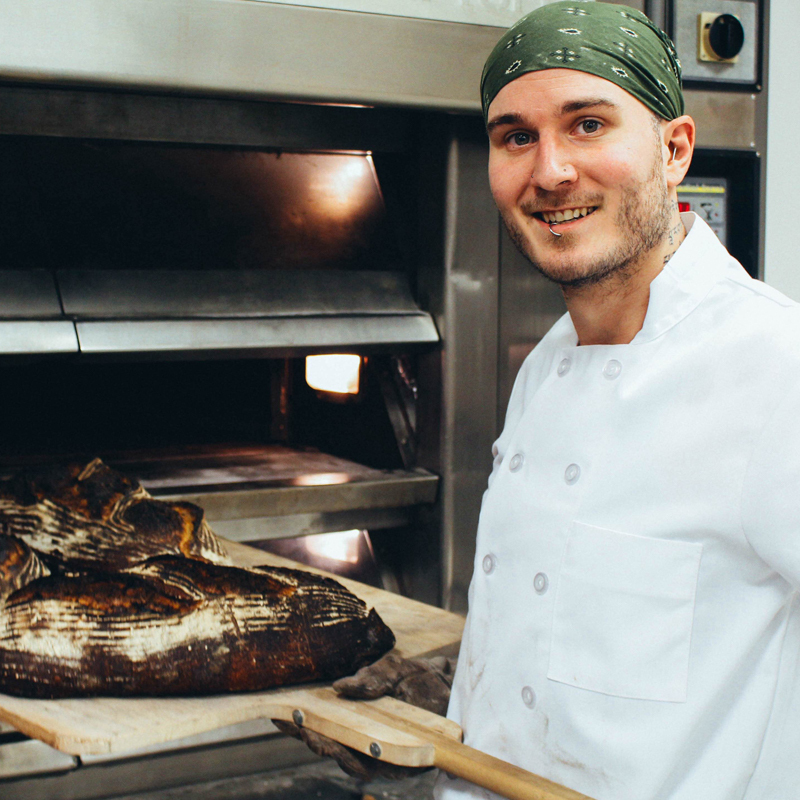 As Publican Quality Bread’s Head Baker, Wade oversees the bread program for all of the One Off Hospitality Group, with a focus on local farm whole grains and natural fermentation. At Publican Quality Bread, Wade received a nomination for the Outstanding Baker category of the James Beard Awards in 2017. On graduation from culinary school, he worked at Taxim, specializing in bread and pastries. From there, Greg joined the opening team at Girl & the Goat in 2010. He excelled under Chef Stephanie Izard’s tutelage, and in 2013, he moved to Little Goat to oversee bread baking at Girl & the Goat, Little Goat and Little Goat French Market. Now at the helm of Publican Quality Bread’s bakery operations, Greg works hand in hand with the company’s chef de cuisines to develop new bread’s to fit each restaurant’s menu. Saving an Heirloom Pear, before it’s gone! All Rights Reserved. Chatham-Kent Table 2016. Website by Desktop and Design.